It doesn’t matter if it’s your first time sailing the Mediterranean or your tenth, this magnificent stretch of ocean never fails to amaze. With cultural treasures found at seemingly every port, a temperate climate that’s perfect for relaxing on the top deck, and an incredible level of variety in the itineraries offered across its near one million square miles, there’s no doubting why the Med remains the UK’s favourite cruise destination. And now, thanks to Marella Cruises, you can win the opportunity to experience it for yourself. Marella Cruises offers a range of fantastic sailings around the globe, with flights from 22 UK airports. 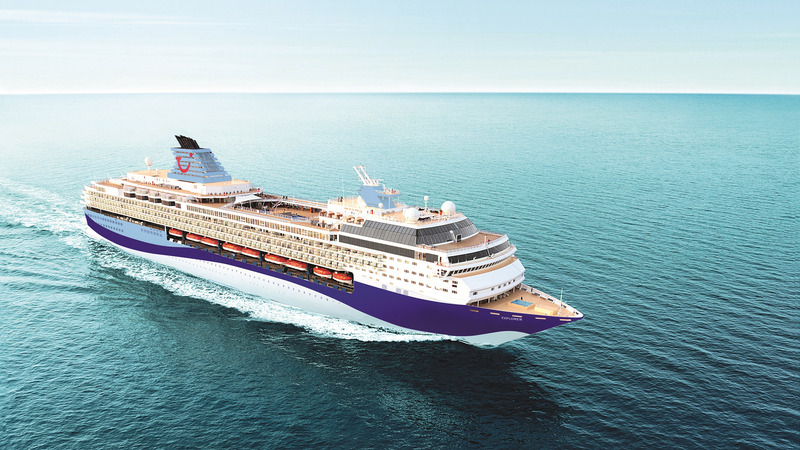 And the ships are pretty exciting, too, with Marella Explorer and sister ship Marella Explorer 2 – launched in 2018 and 2019 respectively – both fitted out to the highest possible standards. So what can you expect on board? Well, one thing is for certain – you won’t have to put your hand in your pocket. From May 2019 all Marella ships will be all-inclusive, meaning that drinks, tips and service charges are all covered by the upfront fare, and there are no nasty surprises when you come to settle your bill. You can also look forward to some truly delicious cuisine at up to ten restaurants and bars on board, including established favourites Snack Shack and Kora La, as well as a new restaurant experience called The Dining Club, which offers a culinary journey around the world (a must for all true foodies). It’s Marella Cruises’ partnership with Champneys Spa, however, that has caught all the headlines, with the premier spa company bringing its pampering expertise to Marella Explorer and Marella Explorer 2. So now you can enjoy lazy days at the onboard haven, relaxing in Champneys’ signature luxury ambience and enjoying a whole range of fabulous treatments. Sheer bliss. The one big difference between Marella Explorer and Marella Explorer 2? The newer of the two sisters is adults-only – which makes her the perfect ship to enjoy a Mediterranean sailing just for two. Sailing with Marella Cruises on their ‘Mediterranean Gems’ itinerary out of Naples, you’ll spend seven nights exploring some of the Med’s most celebrated ports and destinations. Naples itself has many claims to fame – not least a reputation for the best pizza in the world – so be sure to grab a slice from one of the many street-side pizzerias in the city centre. Your first port of call is Tarragona, a charming Spanish port that mixes laidback beach life with ancient history in the heart of Catalonia. You could explore its sandy beaches, beautiful walled Old Town and UNESCO-listed Roman ruins. But for most cruisers the temptation of Barcelona – just an hour’s drive away – will prove irresistible, and they’ll be hopping on an excursion to experience the fairytale architecture and pocket-sized tapas bars that decorate Spain’s most famous city. A visit to Toulon, gem of the French Riviera, comes next, from where you can follow the sound of popping corks and clinking champagne flutes to St Tropez. Setting sail again, you soon come to Livorno, gateway to the Renaissance glories of Florence and the famous Leaning Tower of Pisa. Then a port call at Civitavecchia brings the opportunity to see the Eternal City of Rome, where your most pressing question will be what to see first: the Colosseum, the Spanish Steps or the Trevi Fountain (while finding a delicious bowl of pasta to enjoy, of course). The final port is Olbia on the beautiful island of Sardinia. Venture outside the city and you’ll discover a coastline of sandy beaches, virgin coves and towns that mix a contemporary urban vibe with delightfully unspoiled Medieval charm. It’s the perfect finish to a wonderful cruise – and if you enter our competition, all this could be yours. Other than cruising, what type of holiday would you normally take? Tick all that apply. 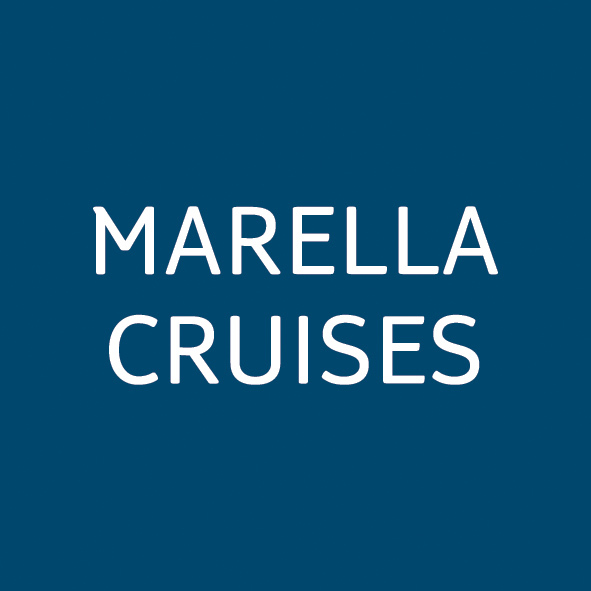 Would you like to receive news and special offers from Marella Cruises by post, email or telephone? This prize is for a cruise holiday for 2 adults, which includes a 7 night Mediterranean Gems cruise onboard Marella Explorer 2, departing from London Gatwick, Birmingham or Manchester Airport on 23rd October 2019, based on 2 adults sharing a Standard Inside Cabin on an All Inclusive basis. Competition closes midnight April 30. The cruise holiday does not include ground transport to and from the airport, pre-bookable cabin service, travel insurance, visas, Shore Excursions, personal expenses, spending money or any other additional extras or expenses. It is the winner’s responsibility to check all visa and passport requirements are fulfilled. Booking terms and conditions apply to the holiday; see relevant brochure or www.tui.co.uk for details. The prize is not transferable; no cash alternative can be substituted for any prize, and no alternatives will be offered. TUI reserves the right to substitute a prize of equal or greater value should circumstance make this necessary. Entry into this promotion constitutes acceptance of these terms and conditions, as well as those set out by TUI on their website. For All Inclusive terms and conditions, the latest Marella Cruises brochure will apply.